2 teaspoon – chili powder. 1 teaspoon – cumin, ground. ¼ teaspoon – oregano, dried. 2. Chop up sweet potatoes, Cauliflower, Zucchini/Squash, and Brussels sprouts into bite size pieces. 3. 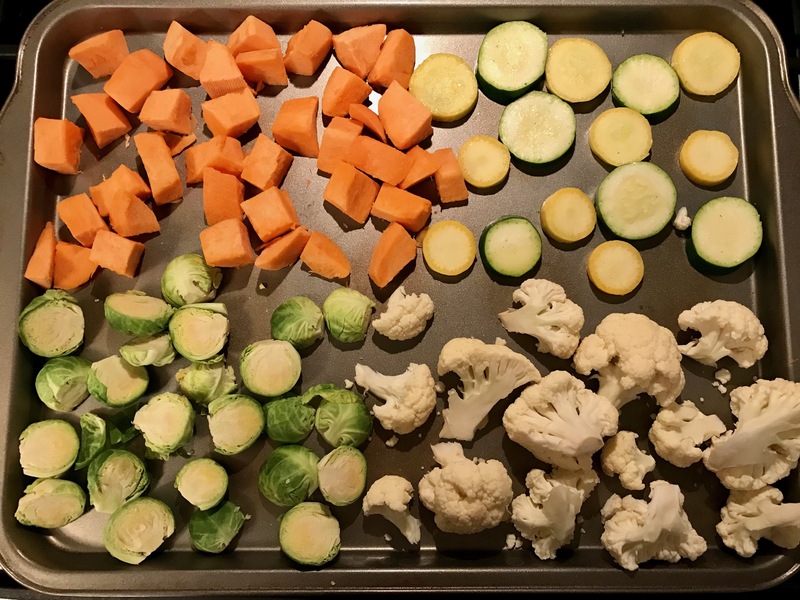 Place each vegetable in a different corner of the cookie sheet and sprinkle with seasonings and oil. Hint: Sprinkle different seasonings in each corner to create variety. 4. Mix together and then place into oven. 5. Bake for another 15-20 minutes or until slightly browned. Stir vegetables halfway through baking.